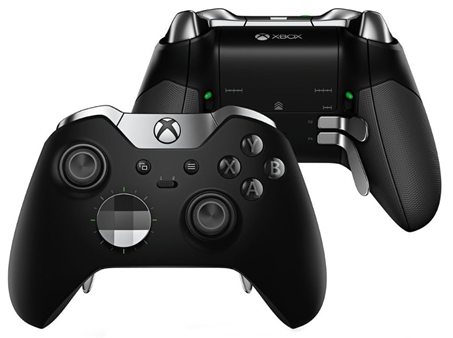 The Titan One device fully supports the Xbox One Elite controller, including the bottom paddles. The 4 paddles of Xbox One Elite controller are individually accessible for script programming, without the need of having them mapped to any regular button. This exclusive feature is truly remarkable as it allows the user control scripts without compromising any of the regular buttons. For example, in fighting games, the paddles can be used to run complex combos. Your Xbox One Elite controller is working properly when the display shows 0 and the bottom dot turns off.